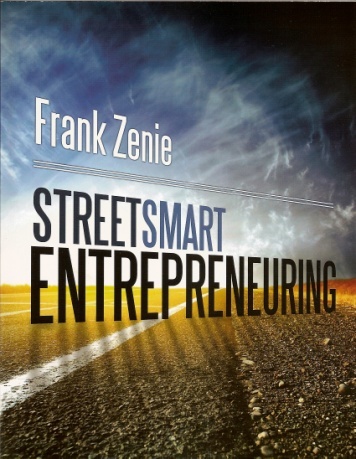 Now in its 3rd edition, StreetSmart Entrepreneuring is a collection of insights and beliefs based on Frank's 35 years of practicing entrepreneurship as a CEO and as an entrepreneurial coach. Entrepreneurship is less science and art and more actual practice. More than any other field, entrepreneurial success is results based. Successful entrepreneurs create market discontinuities - dramatic changes - rather than incremental improvements to current practice. Introducing the ESS - Entrepreneurial SnapShot. Real world, first hand lessons from entrepreneurial companies that Frank has worked alongside. Click HERE to learn how to get your copy of SSE along with my guarantee.